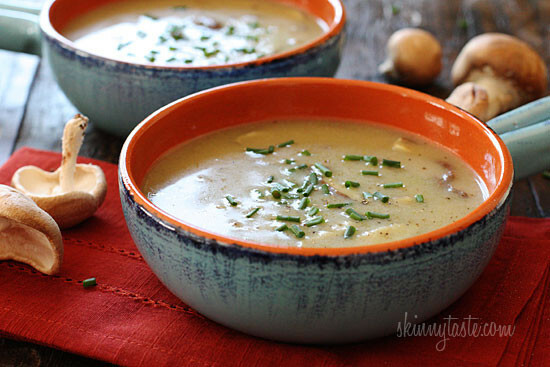 A velvety, creamy mushroom soup that is low in fat, yet rich in flavor. Perfect for lunch with a sandwich on the side, or makes a lovely first course for dinner. 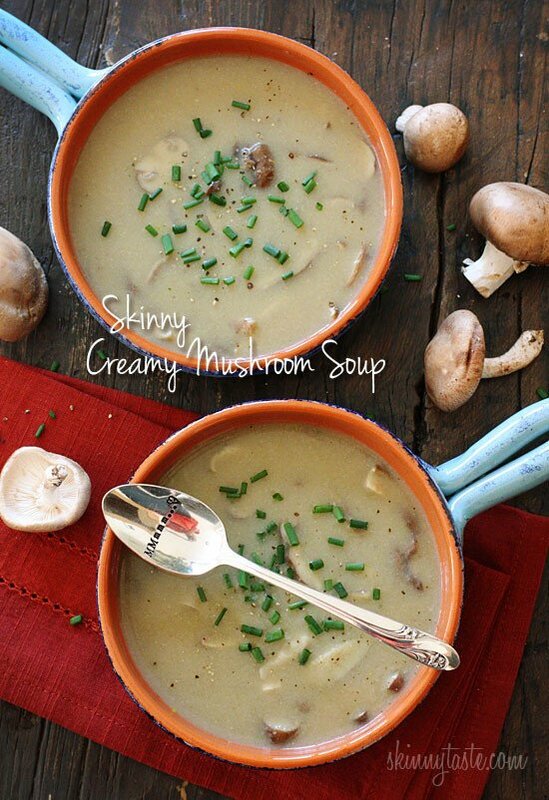 There’s nothing better than a cream of mushroom soup once the weather starts getting cooler. 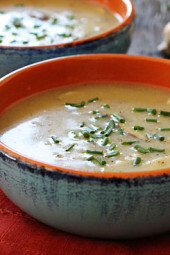 If mushroom isn’t your thing, I also have a wonderful Cream of Asparagus Soup, my Dad’s Famous Cauliflower Soup and a creamy Carrot Ginger Soup. I first posted this recipe December 2010, back when I was still working a full time job and running home to cook and take photos. Most of those photos are pretty bad, so I am slowly re-shooting them. The photo just didn’t do this soup justice – it’s so flavorful and light at the same time, even my teen who could care less about eating “light” often requests this. And, it’s so simple to make, the shitake mushrooms give this soup incredible flavor, I wouldn’t substitute them. If you are watching your sodium, you can certainly use less bouillon or replace it with chicken broth. Place cold water and flour in a blender and blend until smooth; pour into a medium pot and set heat to medium. Add celery, mushrooms, chicken bullion and butter and bring to a boil. Cover and simmer until vegetables are soft, about 20 minutes. Remove celery and a cup of soup and place in a blender, blend until smooth, then return it to the pot and simmer a few minutes.